According to the latest Cybersecurity Jobs Report by Cybersecurity Ventures, the worldwide deficit of qualified cybersecurity professionals will reach 3.5 million by 2021. A deficit of this magnitude can inhibit the industry’s ability to prevent cyber breaches, and the challenge is compounded by the growing frequency and sophistication of cyber-attacks. Getting ahead of tomorrow’s threats requires a larger, diverse and innovative team of problem solvers. With today’s announcement, Palo Alto Networks and GSUSA plan to introduce cybersecurity education to millions of girls across the United States through compelling programming designed to increase their interest and instill in them a valuable 21st century skillset. This national effort is a huge step toward eliminating traditional barriers to industry access, such as gender and geography, and will target girls as young as five years old, helping to ensure that even the youngest girls have a foundation primed for future life and career success. 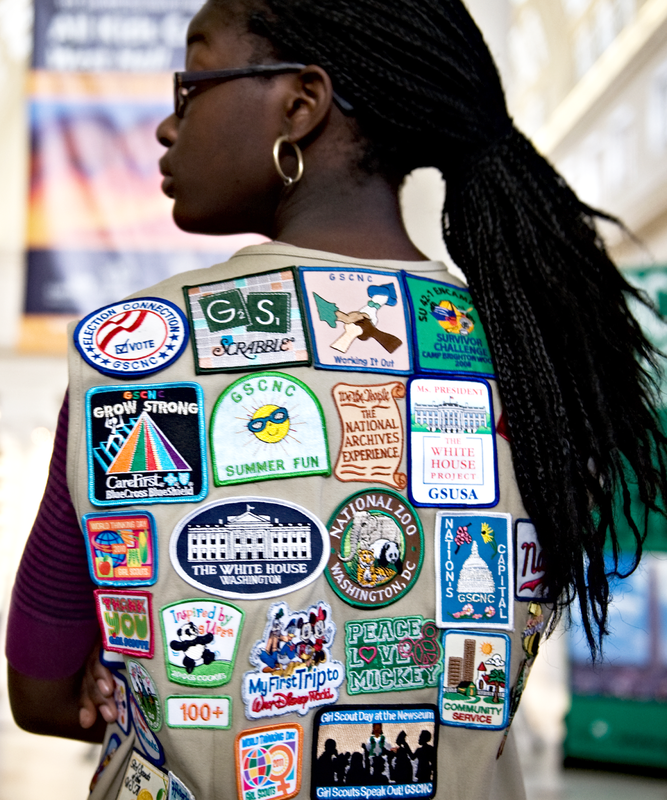 The new badges will deepen the existing commitment that Girl Scouts has made to science, technology, engineering and math (STEM) by using the organization’s unique, "fun with purpose" K–12 curriculum that inspires girls to embrace and celebrate scientific discovery in their lives at all ages. To learn more about how Girl Scouts transforms today’s girls into tomorrow’s leaders, and to volunteer, reconnect, donate or join, visit www.girlscouts.org. about Palo Alto NetworksPalo Alto Networks is the next-generation security company, leading a new era in cybersecurity by safely enabling applications and preventing cyber breaches for tens of thousands of organizations worldwide. Built with an innovative approach and highly differentiated cyberthreat prevention capabilities, our game-changing security platform delivers security far superior to legacy or point products, safely enables daily business operations, and protects an organization’s most valuable assets. Find out more at www.paloaltonetworks.com. about Girl Scouts of the USAWe're 2.6 million strong—1.8 million girls and 800,000 adults who believe in the power of every G.I.R.L. (Go-getter, Innovator, Risk-taker, Leader)™ to change the world. Our extraordinary journey began more than 100 years ago with the original G.I.R.L., Juliette Gordon "Daisy" Low. On March 12, 1912, in Savannah, Georgia, she organized the very first Girl Scout troop, and every year since, we've honored her vision and legacy, building girls of courage, confidence, and character who make the world a better place. We're the preeminent leadership development organization for girls. And with programs from coast to coast and across the globe, Girl Scouts offers every girl a chance to practice a lifetime of leadership, adventure, and success. To volunteer, reconnect, donate, or join, visit www.girlscouts.org. Palo Alto Networks, PAN-OS, and the Palo Alto Networks logo are trademarks of Palo Alto Networks, Inc. in the United States and in jurisdictions throughout the world. All other trademarks, trade names, or service marks used or mentioned herein belong to their respective owners.